An end of year activity! 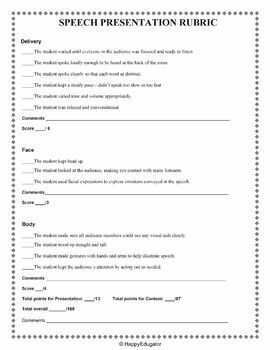 This assignment to give as an end of the year final project will help students learn to write a speech, present it to an audience, and keep students engaged in their learning. 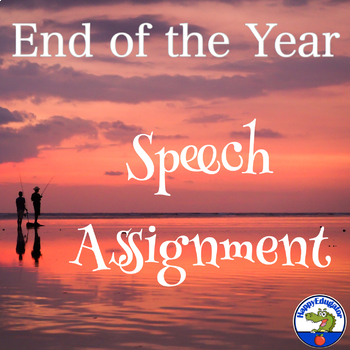 Students will present a 3 - 5 minute speech reflecting on the people and experiences that made this year memorable. 3 x 5 cards required, and visual aids are strongly recommended. This is ready made for you to hand out to your kids. 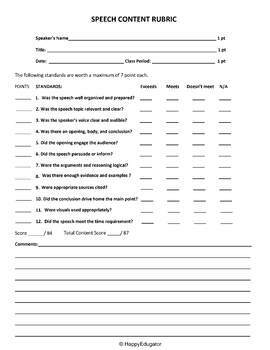 Included is the printable assignment sheet with guiding questions, requirements, and a grading rubric. 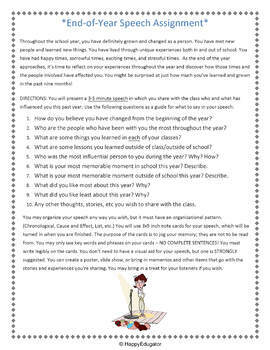 Students will really enjoy telling their stories, and this will make a memorable and fun activity for the last week of school.